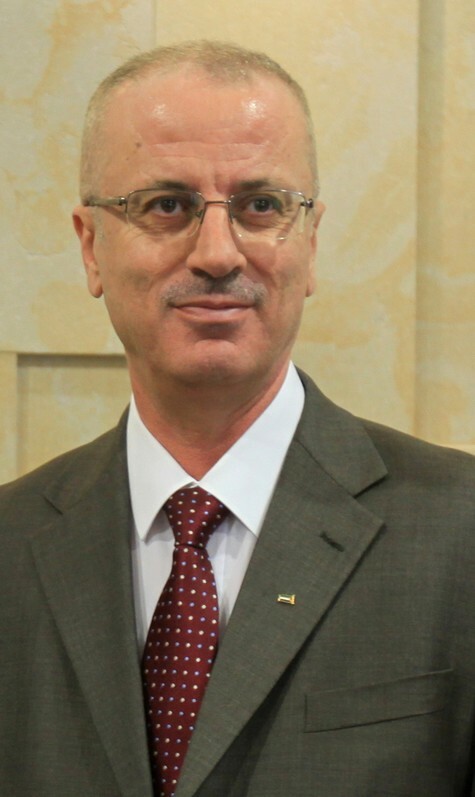 On March 13, while on his way to the besieged Gaza Strip, two 33-pounds bombs targeted the convoy of Palestinian Authority Prime Minister, Rami Hamdallah. Hamdallah was visiting Gaza, through the Israeli border checkpoint, Erez, to open a large sewage treatment plant that, if allowed to operate regularly, will make life easier for hundreds of thousands of Gazans, who have endured a perpetual Israeli siege since 2006. Although reconciliation efforts have, for years, been half-hearted at best, the latest round of talks between both groups led to a breakthrough in Cairo last October. This time, Palestinians were told that the two factions are keen on establishing unity, ending the siege on Gaza and revamping the largely dormant Palestinian Liberation Organization (PLO) institutions. Hamas and the Islamic Jihad were to join the PLO at some point in the future, leading to the formulation of a unified Palestinian political program. And, perhaps, this keenness at ending the rift has led to the attempt on Hamdallah's life. Hamdallah, 60, was chosen by Abbas to serve in the current post in June 2013, despite the fact that he was not a member of Fatah. He took over from Salaam Fayyad who served for six years, focusing mostly on state-building in a region that is still militarily occupied by a foreign power. Hamdallah, though not a particularity controversial figure, has been a follower of Abbas and committed to his agenda. He is a political moderate by Palestinian standards, and it was through his strong ties with powerful Fatah figures like Tayeb Abdul Rahim and Tawfik Tirawi – who served under late PA leader, Yasser Arafat, and Abbas respectively – that allowed him to claim the post and keep it for nearly five years. Last October, Hamdallah led a delegation of Fatah PA officials to Gaza to “end the painful impacts of divisions and to rebuild Gaza brick by brick.” Since Israel destroyed much of Gaza’s infrastructure and thousands of homes in the summer of 2014, Gaza – already reeling under a hermetic siege and the impact of previous wars - has been in ruins. Hamdallah’s visit rekindled hope among Gazans, and all Palestinians, that respite is on the way. Hamas’ insistent attempts to break from its isolation seemed to be finally bearing fruit. Abbas’ party, too, moved forward with the unity arrangements, although for its own reasons. Fatah has been dysfunctional for years, and the imminent exit of Abbas, 83, has opened up intense rivalry among those who want to succeed the aging leader. Supporters of Mohammed Dahlan, who was shunned by Abbas years ago and is currently based abroad, would like to see him back in a position of power. The United States and Israel are following these developments closely. They, too, have favorites and are vested in the future of Fatah to sustain the current status quo as long as possible. Those who want Hamdallah dead are likely not targeting the Prime Minister for his own ideas or policies per se, but for what he represents, as the moderate leader capable of achieving a long term understanding with Hamas. Killing Hamdallah also means ending or, at least, obstructing the unity efforts, discrediting Hamas, and denying Abbas and his leadership the necessary political capital to secure his legacy. Hamas’ main enemy in Gaza are the Salafi Jihadist groups who are unhappy with Hamas’ politics and what they see as a too moderate style of Islamic governance. Of course, there are those in Fatah, including Abbas’ own office, who accused Hamas of trying to kill Hamdallah. Hamas did more than deny the accusations, but, within one day of the apparent assassination attempt, announced that it had apprehended suspects behind the explosion. Hamas, in turn, accused the Israel intelligence of the assassination attempt. The group’s spokesman, Fawzi Barhoum, claimed that “same hands” that gunned down Mazen Fakha in March 2017 and Tawfiq Abu Naim in October are behind the attempt on Hamdallah’s life. He was referring to Israel, of course. The timing of the bombing of Hamdallah’s convoy was quite interesting as well, as it came barely a few hours after a meeting at the White House regarding Gaza. The meeting, chaired by leading pro-Israel officials in Washington, including Jared Kushner, was dubbed as a “brainstorming session” on how to solve the Gaza crisis. One, however, should not undermine the seriousness of the remaining disagreements between Hamas and Fatah. Perhaps the main point of conflict is over Hamas’ fighting force. Hamas refuses to compromise on the issue of armed resistance, and Abbas insists on the dismantling of Hamas’ armed group, Izz al-Din al-Qassam Brigades. But these disagreements are hardly strong enough reason to kill Hamdallah, the last hope for an end to the rift and easing the blockade on Gaza. Although Hamdallah survived, the bombing achieved some of its objectives. A senior PA official told AFP that “Abbas decided no members of Hamdallah’s government would travel to Gaza in the short term ‘due to the security problems.’” While this might not be the end of reconciliation, it could possibly be the beginning of the end.